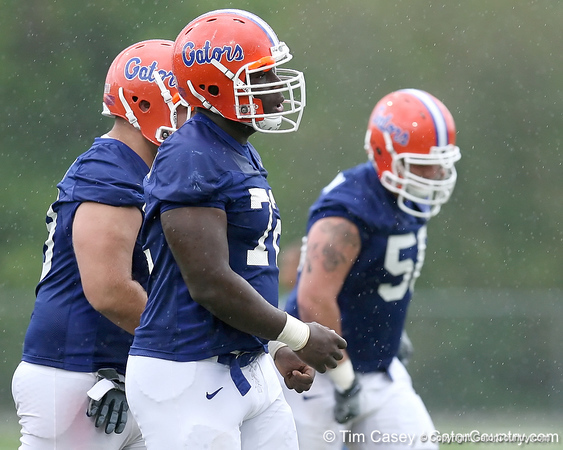 Rainshowers and heavy downpour couldn't keep the Gators from practicing on Friday. The team held its second spring practice despite rain that was heavy at times. Florida signee Andre Debose watched from the sidelines. Jonotthan Harrison works out during the Gators' second day of spring football practice on Friday, March 27, 2009 at the Sanders football practice fields in Gainesville, Fla.